Finn and the Swirly Spin is an upcoming slot release by Net Entertainment, a brand new casino game that will become available online no sooner than the 23rd November 2016. The slot machine is going to be based on an entirely new concept, featuring a unique set of reels that resemble a coiled labyrinth of some kind, which leads from the starting point outside and leads toward the center, where the doors can be unlocked by a mysterious key. This objective can be achieved all the while listening to Finn’s magic flute, as the leprechaun wants to help the players enter another dimension where all sorts of things may happen. Winning is not the only thing that may attract the viewers towards this intriguing new video slot, but certainly are worth noting, because there are lots of coins to be had if everything goes well. Finn and the Swirly Spin will incorporate lots of different bonus features, including an entire combination made out of free spins. The game is currently under development, but additional footage is certainly going to arrive soon, and become available on NetEnt’s official video channel. 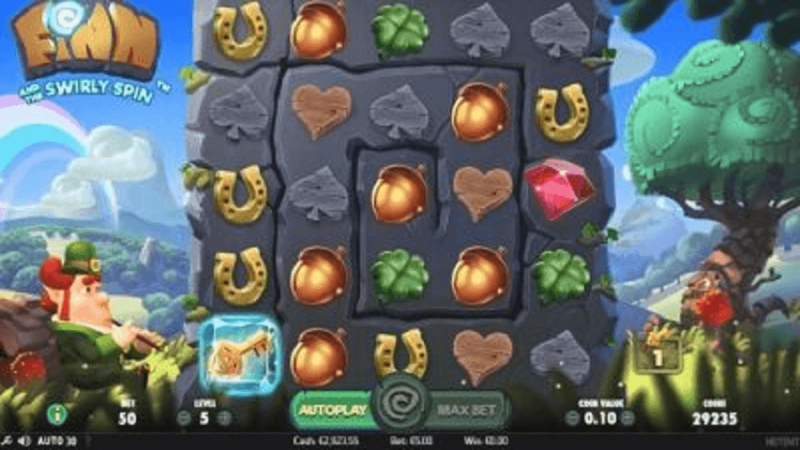 The swirly spin setup is definitely a fantastic way to introduce newcomers and regular gamers alike, bringing a mix of colorful animations and rich bonus content to the online gameplay.